If you are looking for Canada Work Permit Visa procedures and details, look no further. NepSort’s Guide For Canada Immigration will help you out to solve your queries. NepSort’s Guide For Canada Immigration which is prepared by the experienced Canadian immigration professional will help you to find all information regarding Canada Work Permit System regardless of the country where you are residing now. Work Permit is a document for the foreigners which will let to work in Canada. Besides few jobs categories which are specially exempted; all foreigners who are seeking a job in Canada requires work permit visa before entering Canada. It is issued based on a Labor Market Impact Assessment (LMIA) from Employment and Social Development Canada (ESDC). Usually, the government of Canada issues two types of work permit visa — open work permits and employer-specific work permits. As the name suggests, employer-specific work permits allow foreign workers to work in specific employer in the specific position for the fixed period of time. You can apply for the open work permit if you meet at least one of the following mentioned criteria. Both of these work permit visas is a temporary residence visa whereas Express Entry Immigration will grant you the permanent residence in Canada. You should have a clear perspective on how you want to apply for work permit in Canada. There are two ways to apply for work permit — apply online and apply on paper. If you want to apply online you should create the MYCIC account. This is your first step to apply for work permit in Canada. If you would like to get more information about creating MYCIC account procedures, it is explained in — step by step guide to create MYCIC Account. The most important step and probably the golden ticket for your Canada Visa is obtaining a Job Offer from the Canadian company. Now, you might have realized that how important is obtaining the Job offer from Canadain Company. Still, it is unanswered here; how can you get Job Offer from Canadain company staying overseas? This is the very most important key point that every applicant should know. 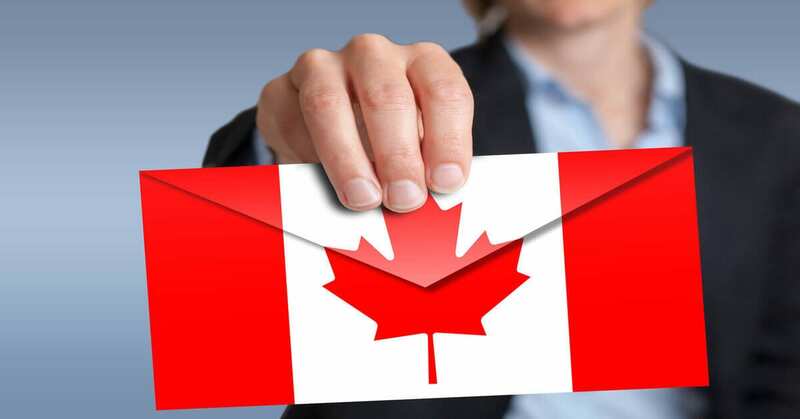 The most reliable way to get the Job Offer from Canadian company is by —signing up in the Canadian Government Job Bank Portal where you can find latest updates of new vacancies. It is also termed as job bank registration. If you would like to get more information about job bank registration procedures, it is explained in — step by step guide for job bank registration process. Secondly, it t is equally important to understand that you should have the positive LMIA along with the Job offer. A Labour Market Impact Assessment (LMIA) is a document that an employer in Canada may need to get before hiring a foreign worker. A positive LMIA will show that there is a need for a foreign worker to fill the job. It will also show that no Canadian worker is available to do the job. A positive LMIA is sometimes called a confirmation letter. You do not have to worry about the LMIA process, your employer should be responsible to apply LMIA on your behalf. As soon as your employer get the positive LMIA and then only you should proceed the further steps. To sum up, you should have all the documents mentioned below to apply for work permit in Canada. Afterward, your further step is to gather the right documents for the work permit application. If you would like to find more information about documents requires for Canada Work Permit Visa application, it is listed in — Document Checklist for Canada Work Permit Visa Application. After reviewing the required documents, you have to fill up the Work Permit Application Form. You can download the application form from — Canada Work Permit Application Form. Next step is to pay the application fee. In many countries, you can pay a fee in your local currencies. For more information visit the official webpage of Canada.ca at — fee paying tools. Now, your final step is to submit your application. If your families members are also applying to you, you should send their applications in one package to the location where your application will be processed (based on their type of application). For more information about where to submit your application, visit — official webpage of Canada.ca. You now need to give your fingerprints and photo (biometrics) when you apply for a work permit. If you are between 14 and 79 years old, you only need to give your biometrics once every 10 years to make repeat trips to Canada. For the first time when you are applying for a work permit, as soon as you submit your application; you will receive a letter stating where should you take your biometrics. You have 30 days to do this from the date on the letter. You can find information about where to give your biometrics at — biometrics process page.